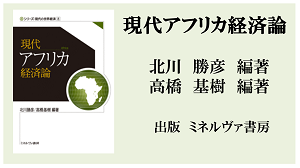 The Africa Business Promotion Support Network Portal Site (hereafter “the portal site”) is a website that offers information about African business promotion. Users of this portal site (hereafter “users”) shall be subject to the terms and conditions in using this site. By using this site, it is assumed that the users agree to the terms and conditions. The operator of the portal site reserves the right to change these terms and conditions at any time without prior notification. Please check the terms and conditions periodically for changes. 1) Users shall be subject to all of the relevant laws and regulations in the use of the service. 2) In no event will the operator of the portal site be liable for any damages or losses of users arising from the changes, interruption, or suspension of the operation ( including emergency maintenance). 1) The portal site is intended for the purpose of providing information about African business promotion. 2) Information posted on the portal site is provided by independent information providers and the operator of the portal site does not assume any liability or guarantee the accuracy of the information. As a general rule, users are free to link to our portal site. However, users may not link to the portal site if the site that uses the portal site link contains contents that offend public decency, or violate or may violate laws and regulations. The administrator of the websites that link to the portal site may be asked to modify or remove the link if the operator of the portal site finds that the way the link is set up is inappropriate. The administrators with the link must obey all requests promptly. 1) Users shall collect and use the information using the portal site upon their own responsibility. 2) Under no circumstances shall the operator of the portal site be held responsible if any trouble occurs which is claimed to have resulted from the use of the portal site. Users shall assume their own risk in using the portal site. Users may use the portal site only if they agree with the terms. Users of the portal site shall resolve any claim or demand arising from, or relative to the use of the service, the connection with the service, or violation of the rights of the third party on their own expense and responsibility. In no event will the operator of the portal site be liable for any trouble, damage, or losses above mentioned. In addition, the operator of the portal site may demand users to be responsible for all or part of the fees that may arise associated with the handling of such complaints or demands. The terms and conditions will be interpreted and put in to effect based on Japanese laws and regulations.